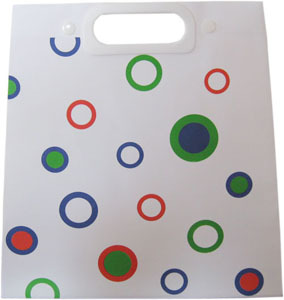 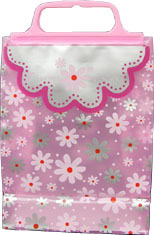 This bag is made from either PE or PO,with two plastic hard handles at top,which can snap together when pressed. 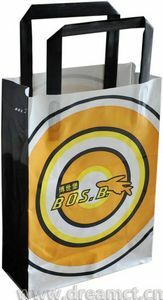 It's very great for shopping or fashion. 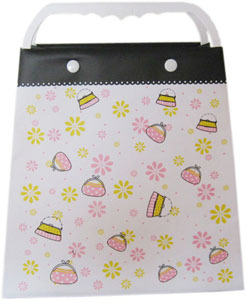 We can do the most possible sizes and printings.